Pulska Xica is an attractive running event held for the 4th year in a row in Pula. It’s an night event where runners run under the lighting effects and installations constructed for Visualia – the Festival of Light. Pulska Xica and SightRun are giving away 10 entries to the first SightRunners! We have 5 entries for 5km race for the first 5 runners who run SightRun Pula tour and 5 entries for the 10km race for the first 5 runners who run any other SightRun tour from the app. To make sure you are the ONE, you have to register to the SightRun app before the run and after you run the SightRun tour you have to share your Summary public on your Facebook profile with #SightRunPula or/and #OsvijetliObraz. Pulska Xica giveaway has started! So take your running shoes a run Pula, Zagreb, Rovinj, Opatija, Split, Munchen or Graz with SightRun app! If you are among the first ones will see you in Pula in September! Note: One runner can get only one entry to Pulska Xica. Only registered SightRun users that will share their tour Summary public on Facebook with the hashtag #SightRunPula or #OsvijetliObraz can enter this giveaway. The giveaway ends when all 10 entries are shared. Entering this giveaway runners agree and understand that they will be contacted via email and only their names will be published. 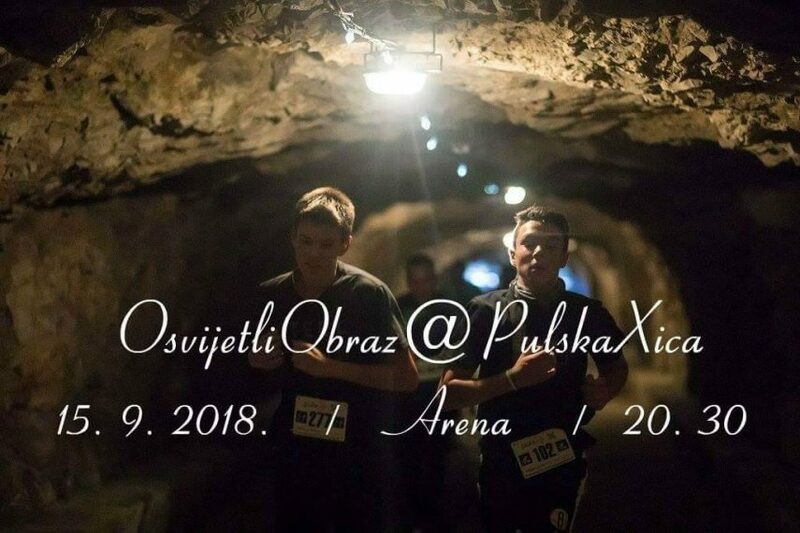 Pulska Xica will be held on September 15th 2018 at 20:30h. For more information please visit official web site Pula.Run or registration site.